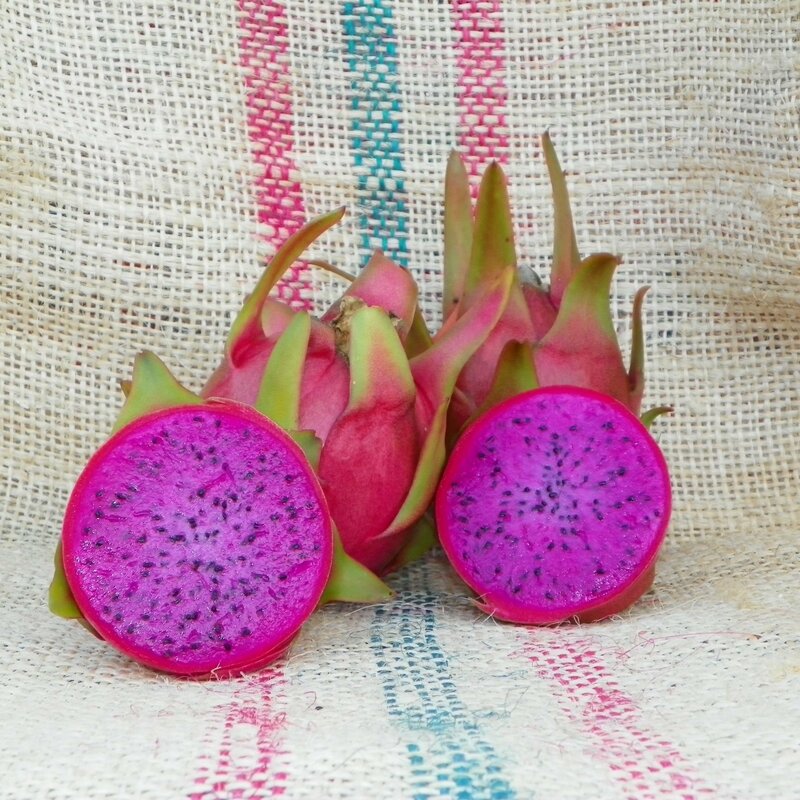 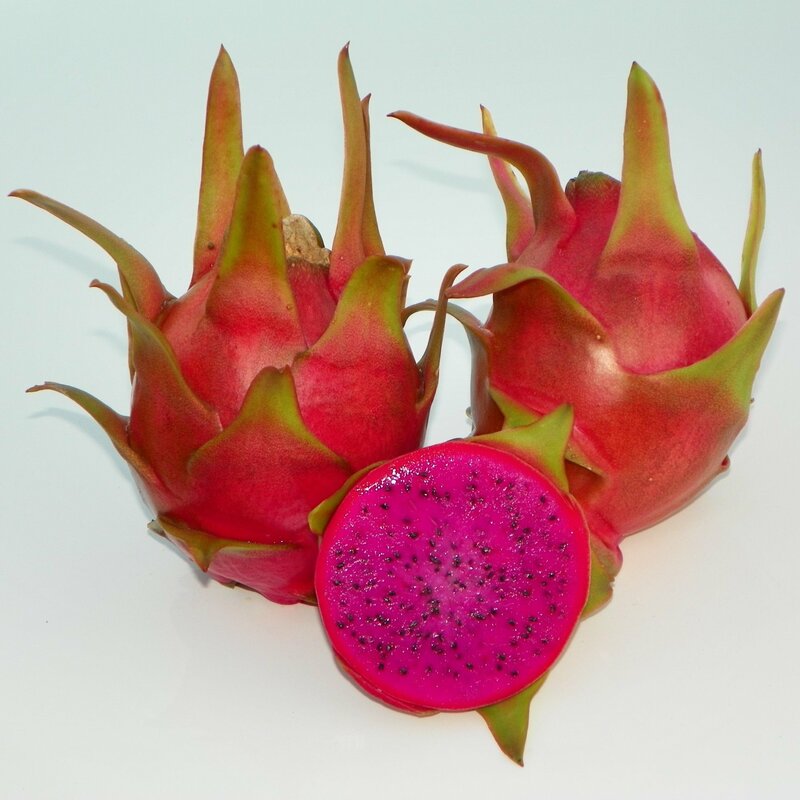 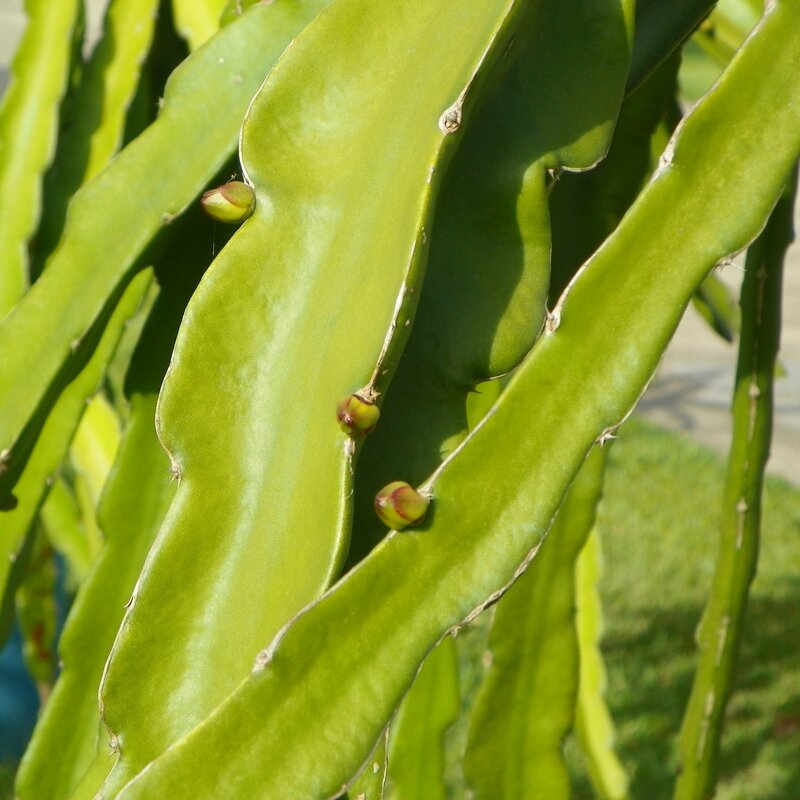 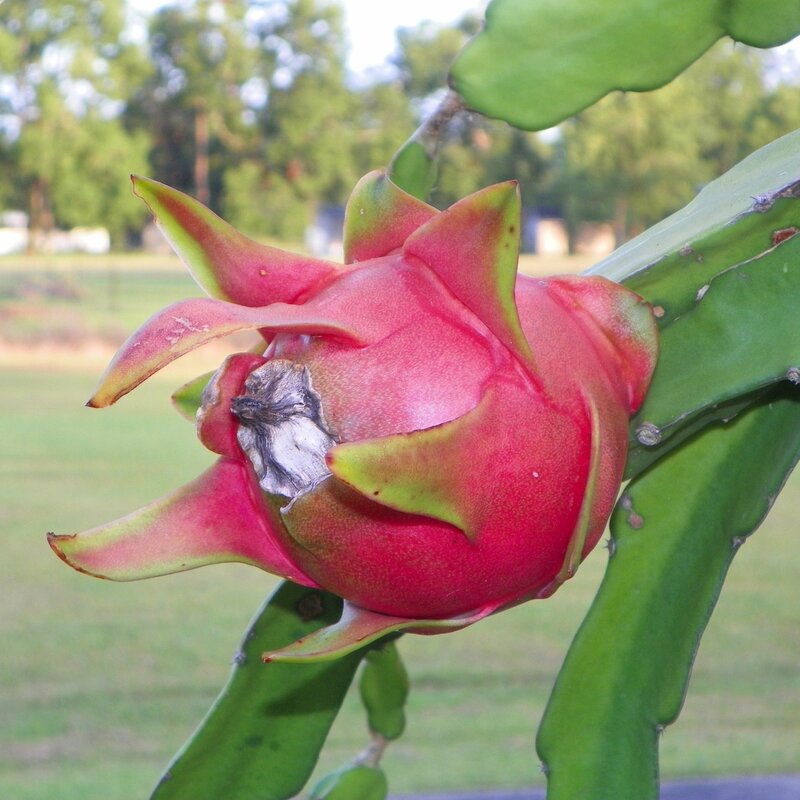 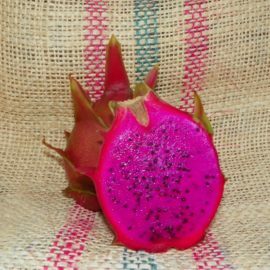 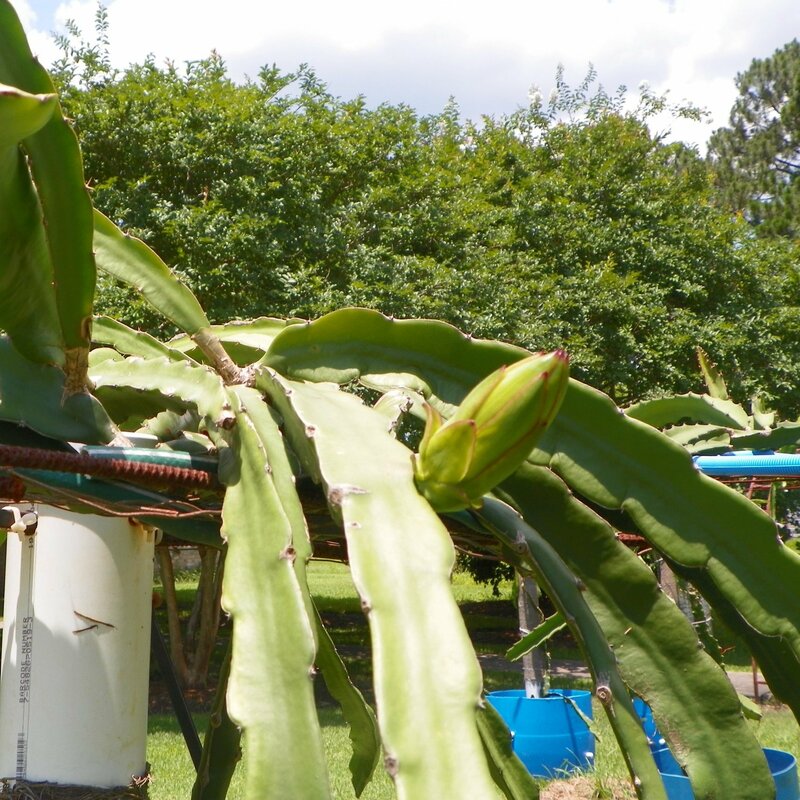 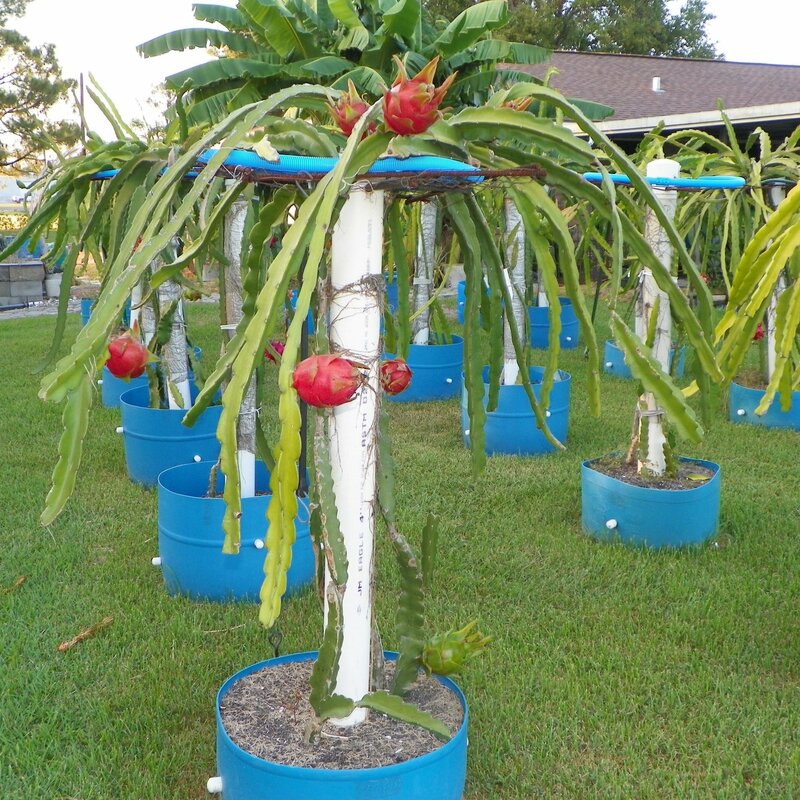 Halleys Comet Dragon Fruit is a hybrid variety that comes from Hylocereus undatus and Hylocereus guatemalensis. 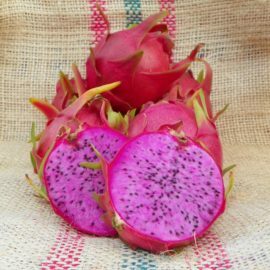 Fruits have a pink outside with green abbreviated fins and purple flesh inside that typically weigh 1.0 to 2.0 pounds. 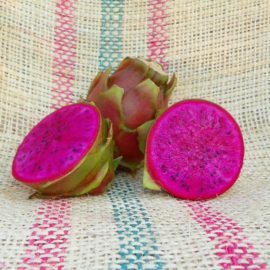 The flesh is sweet with an average brix of 16. 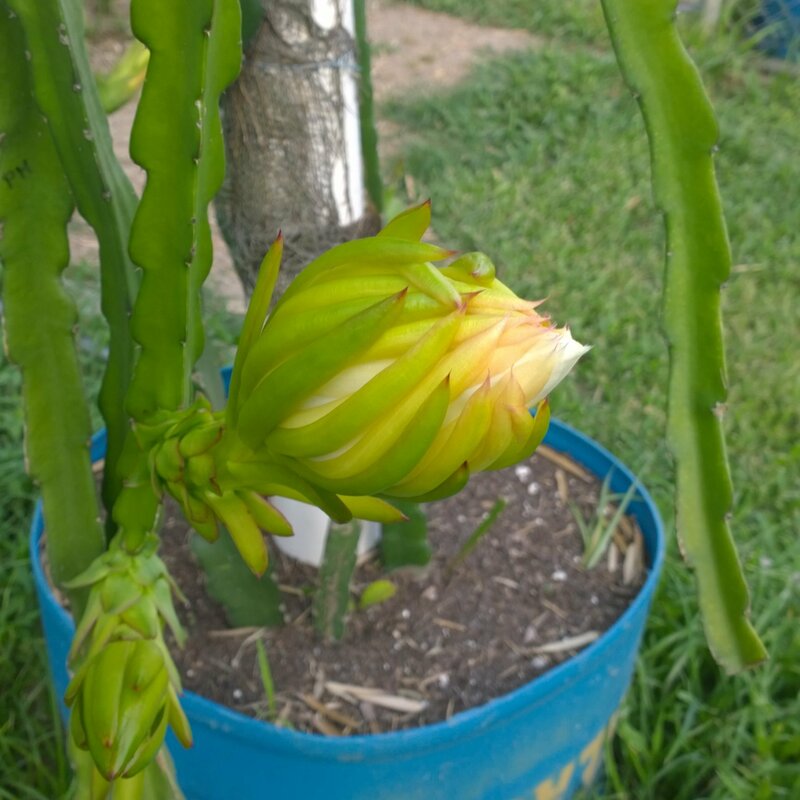 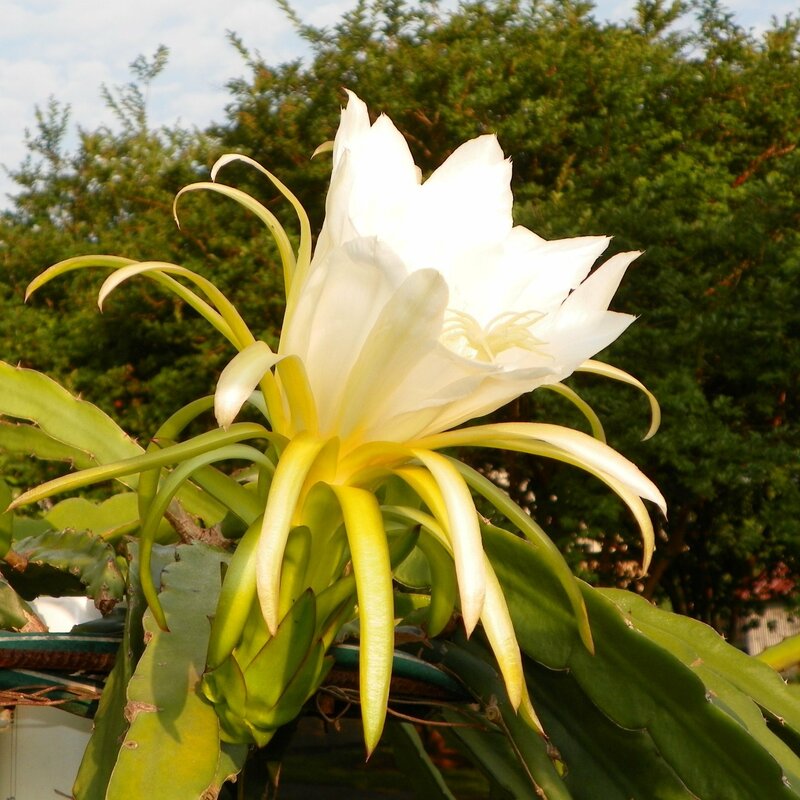 The flower blooms are over 13 inches across and it blooms all summer. 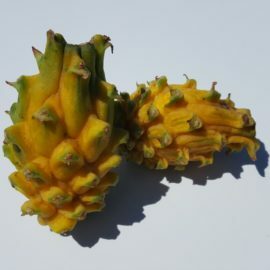 This variety is a strong but less aggressive grower and can tolerate full sun with minimal sun burn. 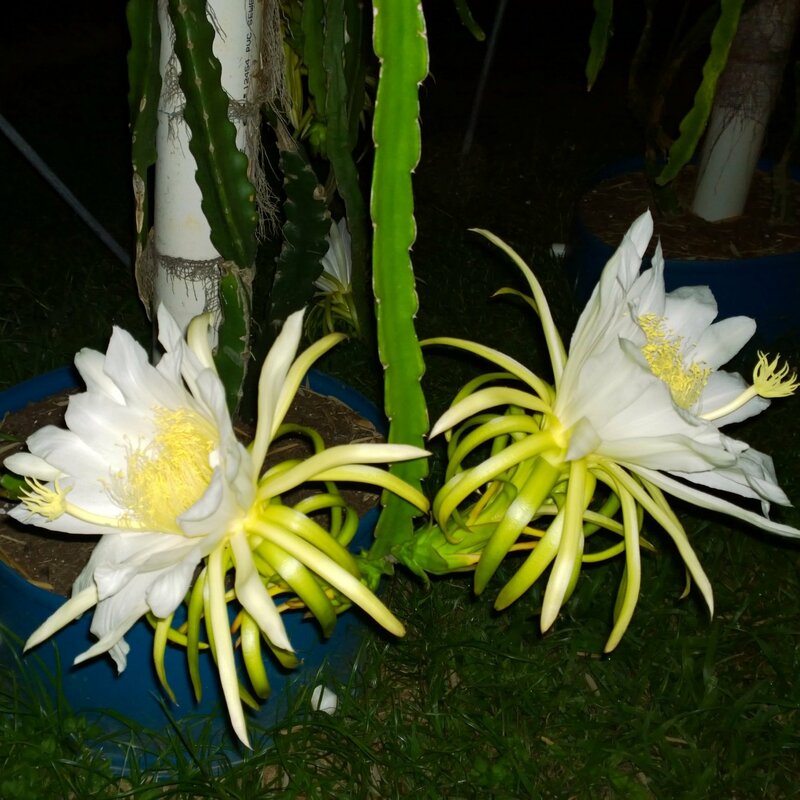 My testing results have proven that Halleys Comet does set fruit on its own however, I would recommend pollen from any Hylocereus polyrhizus for near perfect results. 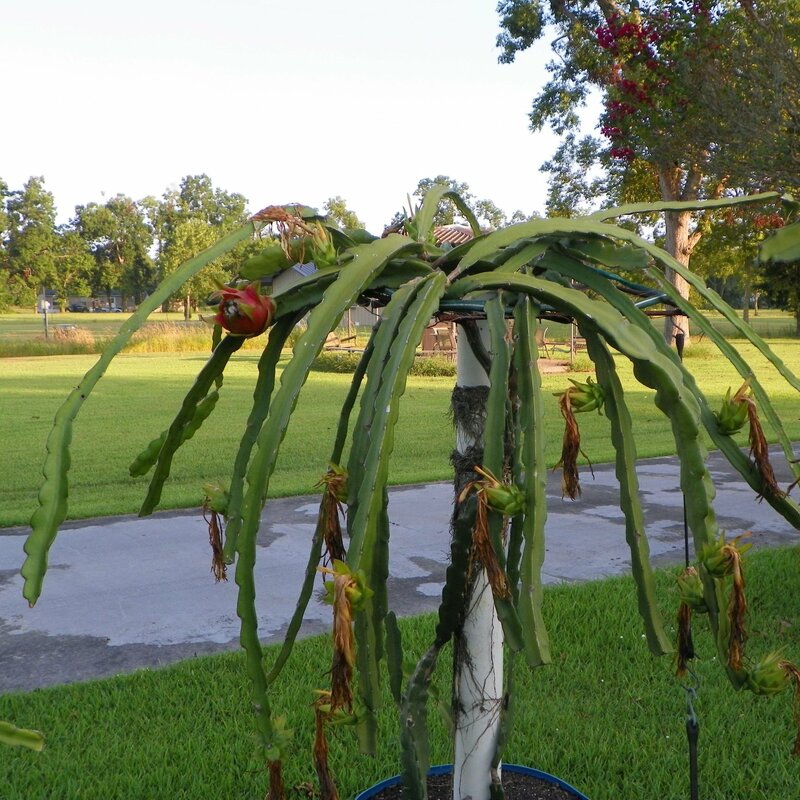 This variety was acquired from a tropical nursery in Louisiana.